A famous scientific research area in northwestern Ontario is getting in touch with its artistic side. A freshwater laboratory in northwestern Ontario that's been the site of groundbreaking scientific research, is now hoping to inspire artists as well. 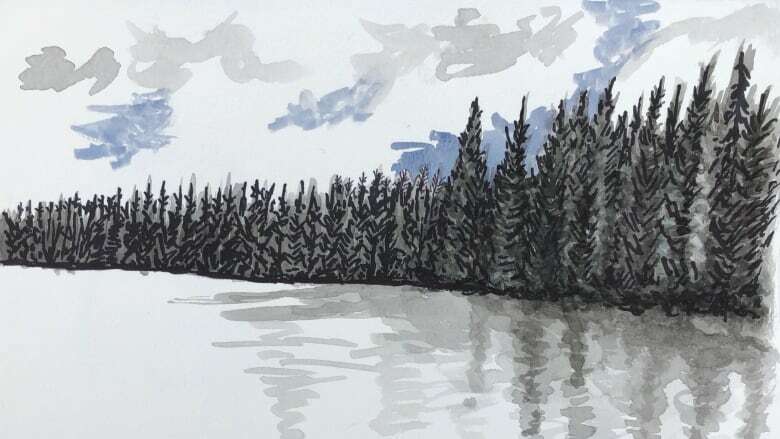 The Experimental Lakes Area (ELA), located near Kenora, Ont., is currently taking applications for its new artist-in-residence program — a project aimed at merging art and science in a win-win partnership. "I think there's a real potential for art to actually be able to communicate science and explain it to a broader public, and that's what we really want to do," explained Sumeep Bath, who speaks for the ELA, which is run by the Winnipeg-based non-profit International Institute for Sustainable Development (IISD). "There are so many characters out there at IISD-ELA," Bath said. "There are so many stories to be told. And there's so much intricate research that I think can really be brought to life by art." The idea was tested with a pilot project this fall, Bath explained, when a visual artist from Winnipeg was invited to visit the site. 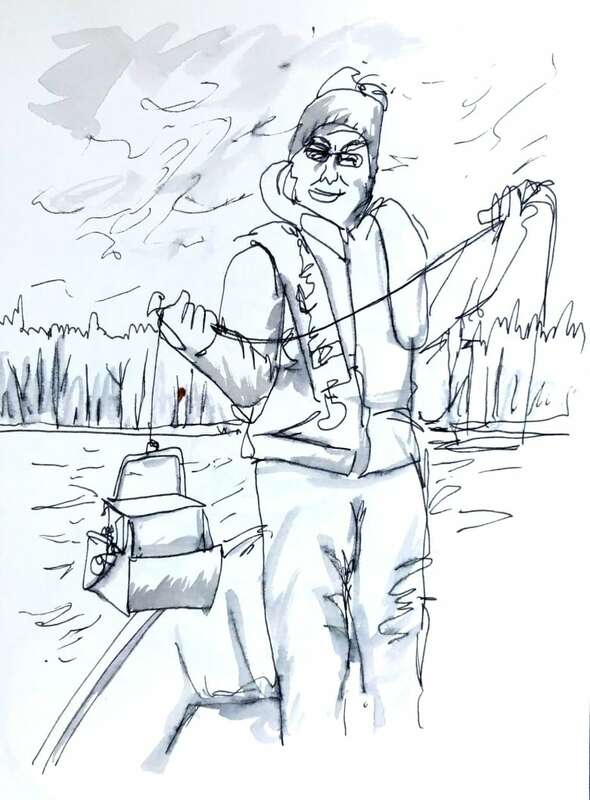 While there, James Culleton produced a series of sketches that included everything from landscapes and fish, to lab equipment and portraits of researchers. "He put together some beautiful sketches, and we thought, 'you know what?' This is actually a really great idea to push this out to a more broader potential audience," Bath said. The IISD is always looking for new ways to communicate with the public, he added. Public outreach has become a greater focus for the ELA since it was acquired by the non-profit several years ago, after the once federally-run facility was threatened with closure. Of course, in addition to characters and stories related to activities at the site, the area also boasts natural sources of inspiration. The "beautiful set of 58 lakes in the boreal forest," as Bath described it, make for an "artist's dream," and the ELA Is hoping to attract all sorts. From visual artists to poets or musicians, all are welcome to apply. The plan is to select four or five artists for the first full run of the program, which will take place from May to Oct. in 2019. Artists will be brought to the ELA for at least a week each, Bath explained, with travel covered from Winnipeg or Kenora. The ELA is also committed to helping the artist's promote the work they create, he added, which could mean hosting an exhibition at some point. "I mean what would be really exciting for us is if a bunch of people who are quite interested in the arts ... [could] come and see these pieces and learn more about freshwater science."